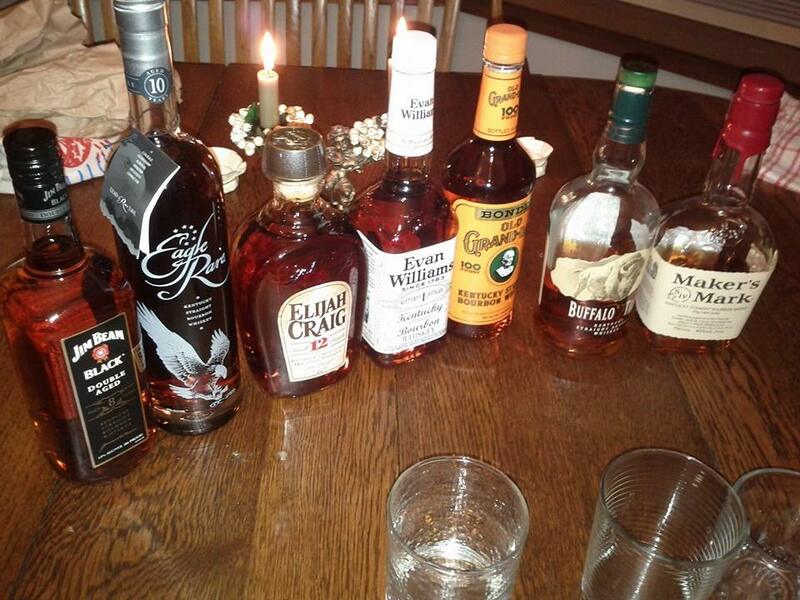 While in Kamloops last week I had the joy of participating in a bourbon tasting substantially empowered by brother. I made some notes of things people said about each. We sampled them from shortest to tallest bottle. You can use the comments to see which bourbon is most likely to be your favourite. From this point on we had live banjo music for the tasting. – it’s like skate blades. That is a compliment. From this point on we had live music from a guitar strung with martin strings. This entry was posted in Community and tagged bourbon, family. Bookmark the permalink.